In a world in which there are is over 7,000 estimated languages, there’s one that is in many ways universal - food! But what exactly is the reason for this? In a world in which there are is over 7,000 estimated languages, there’s one that is in many ways universal – food! Julia Child once said, “People who love to eat are always the best people,” and we’re inclined to agree. Mealtimes have evolved from being a simple sustenance exercise to a true bonding experience, one that holds a special place in several cultures around the world. From workplace lunches to intimate dinner parties, special event banquets or the weekly Sunday Roast, many memories are often made whilst sat around the dining table. So what exactly is the reason for it? Dating back to the Greek Empire, it can be seen that food and dining as a group was as much about enjoying company and conviviality as it was about the cuisine. Eating together essentially enables us to stay connected with the ones we love. 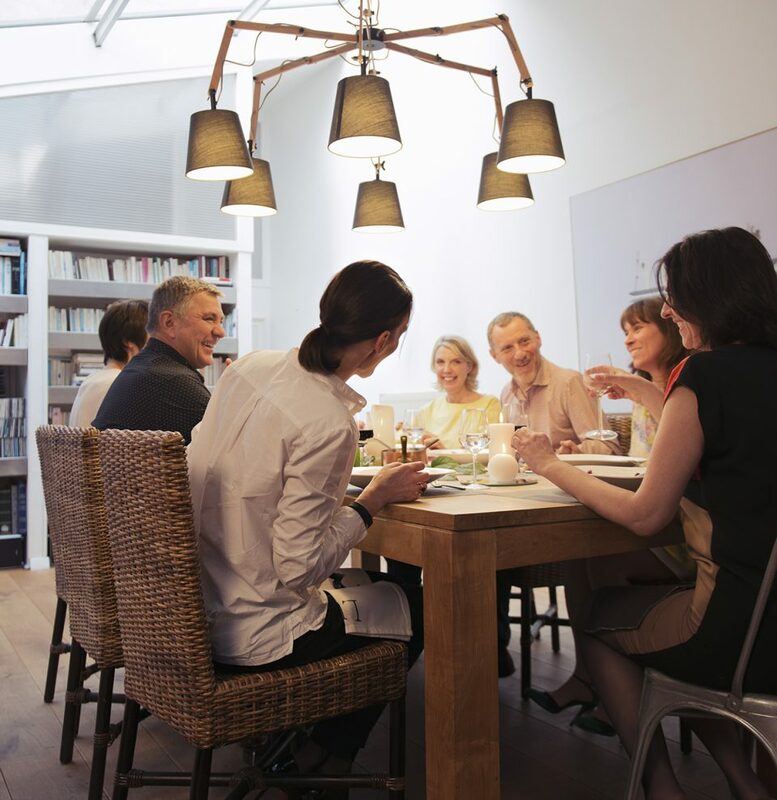 Families and friends often use the time at the dinner table to talk about their days, weeks, life in general or current affairs, allowing bonding to take place over the food. There is also the fun of eating different foods and sharing different recipes, especially across cultures. There is also evidence to suggest that eating together could be good for you; studies have shown that families that eat together are healthier, benefitting from lower rates of depression and obesity along with higher rates of literacy and self-esteem. If you want to enjoy your time around the table with friends and loved ones, we make it easy to do exactly that. With a La Belle Assiette private chef, you can leave the meal planning, preparation, cooking, presentation and clearing away to an experienced professional. Our chefs are friendly and highly competent, so you can relax and leave the hard work to an expert whilst still getting to enjoy a homecooked meal in the comfort of your own surroundings. No need to go to an expensive restaurant, no need to worry about travel plans to and from, and no need to worry about cooking. With a private chef from La Belle Assiette, all you do need to worry about is how to choose between all the different delicious menus!